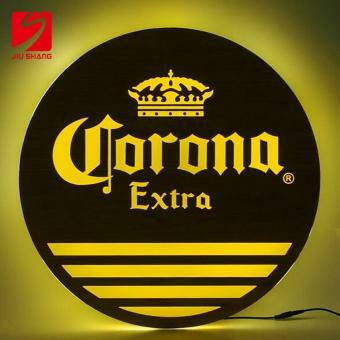 Full Color Printed Runner with Nitrile Non-slip Backing can be used for cocktail shakers, bar tools, or even pouring drinks. 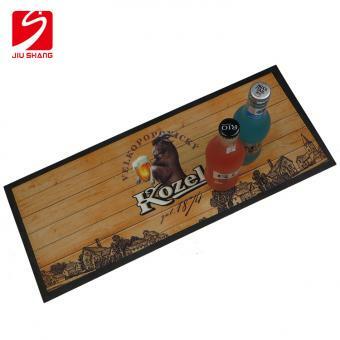 Long Non Woven Felt NBR Spill Runner can be customized as all available size as your bar counter. 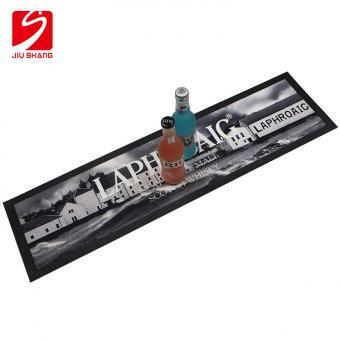 Fabric nitrile drip mat takes up minimal space to keep just the area being used protected. 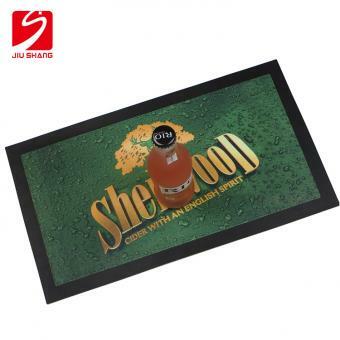 Factory Supply Rubber Drink Mat With Custom Logo Keeps bar top spill-free and sanitary. 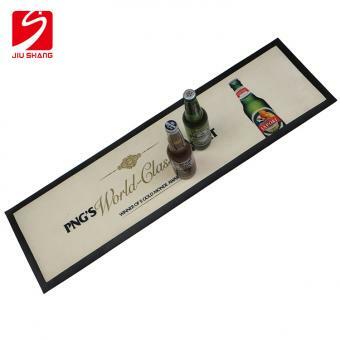 Non woven rubber bar mat can also be used as a drying mat for bar tools or a single glass. 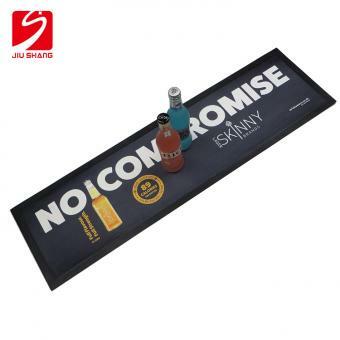 Non Skid Customized Digital Printed Logo Bar Runner with colorful printing logo non woven felt surface and nitrile rubber backed bottom can be used at bar counter, restaurant, home and outdoor. 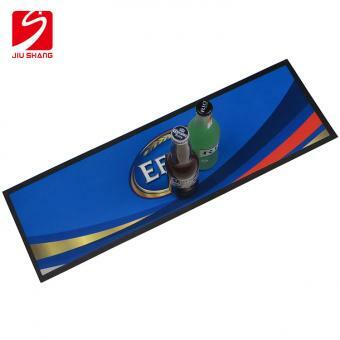 Knitted Polyester Felt Rubber Bar Runner is made of non woven fabric surface and nitrile rubber back. 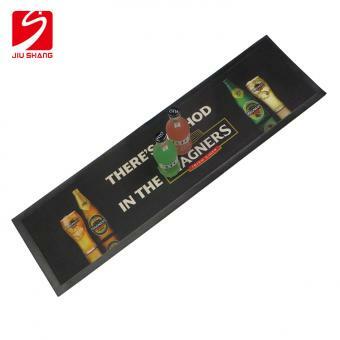 With full printing colorful and vivid logo, felt rubber bar drip runner is a practical bar tool for brand promotion. 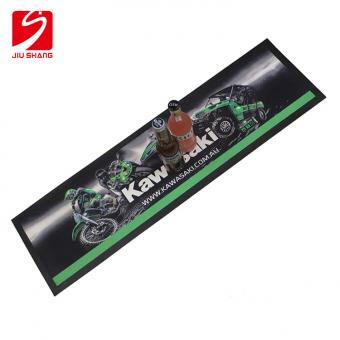 Non Skid Felt Nitrile Rubber Drip Runner is made of anti skid and wetstop non woven felt surface and nitrile rubber backed bottom, which can keep work table dry and tidy, and cocktail tools dry and settled. 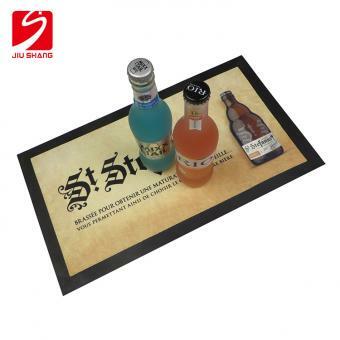 Personalized Logo Colorful Printing Rubber Runner with colorful printed logo, which can be a practical bar tool for brand promotion. 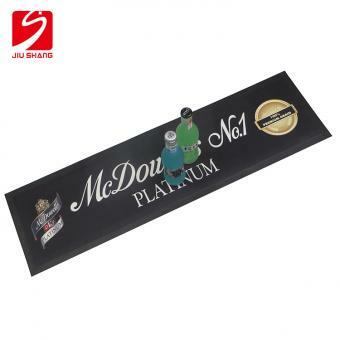 Non Woven Felt Rubber Bar Service Mat is a multi function serving mat, which can be used as a work place when you mixing cocktail wine, it also can be used as a dry place after you washing used cocktail tools. 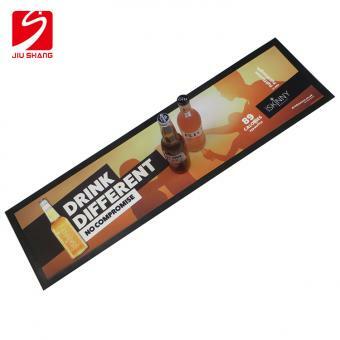 Dye Sublimation Knitted Felt Bar Runner is used to keep your table dry and clean. 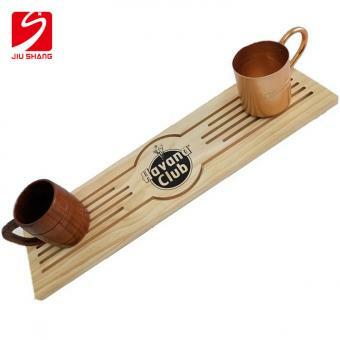 And anti slip bar mat can prevent your cups and cocktail tools from broken and moving. 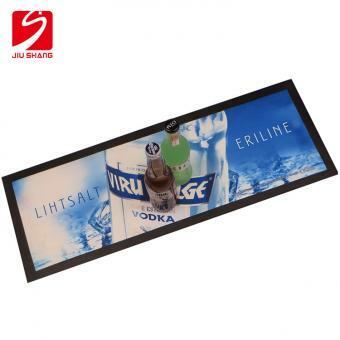 Full Color Printed Bar Mat with Nitrile Non-slip Backing can be used for bar, restaurant,home and outdoor. 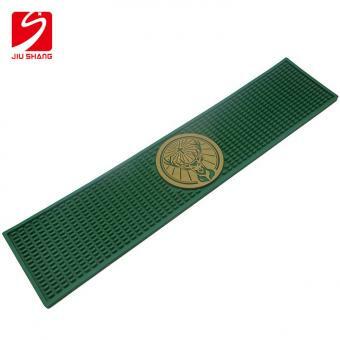 Durable rubber runner can be repeat used for a long time. 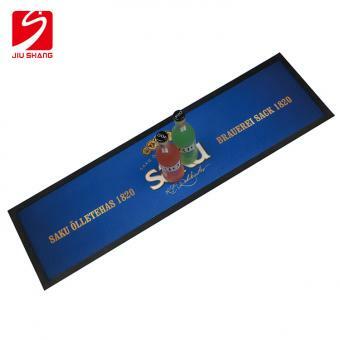 Anti-Slip Nitrile Rubber Bar Runner with colorful heat transfer printing logo can be washed by using water and keep unfading for a long time using. 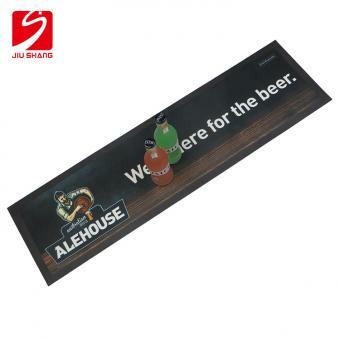 Non Woven Fabric Beer Mat for Bar Using is made of anti slip and wetstop non woven fabric surface and rubber backed bottom. 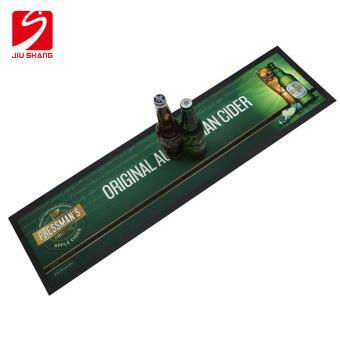 Rubber backed bottom keep the non woven bar mat non slip and settled. 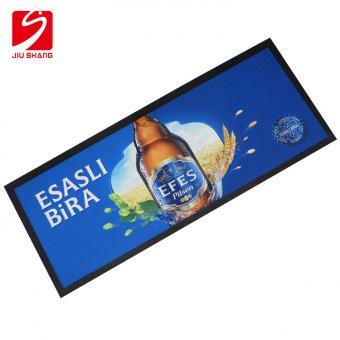 Non woven fabric nitrile rubber bar mat is made of fabric surface and rubber back. 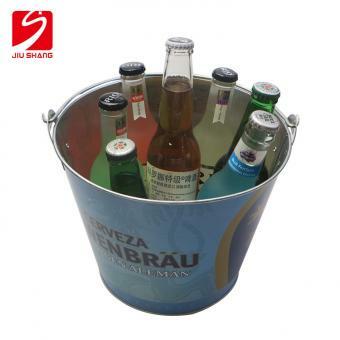 It can be used to keep your table dry and clean. it also can be used as a dry surface when we set the jiggers and shaker on the mat to dry. 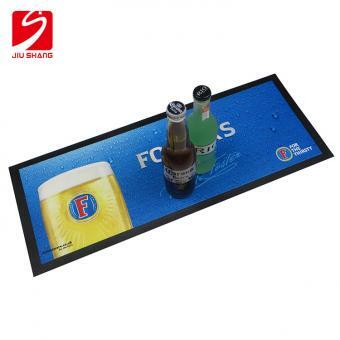 Brushed fabric bar mat is made of nitrile rubber and non woven fabric. 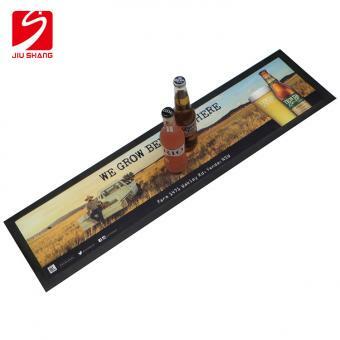 Nitrile rubber bar mat can be used for bar, restaurant,home and outdoor. 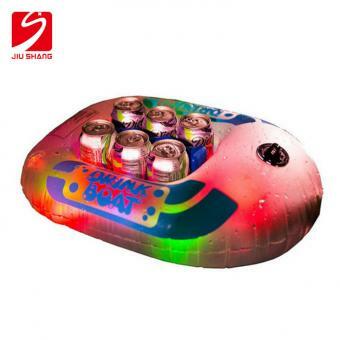 Customized logo and size as customer's work is available. 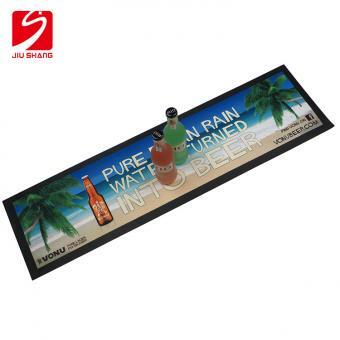 Non Skid Digital Heat Transfer Printed Logo Bar Mat is colorful and vivid. 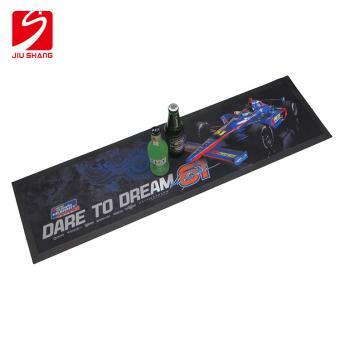 With washable and durable features, non woven fabric nitrile rubber mat can be used for a long time.